Music filled with emotions, passions and desires, with tears of joy and of pain moves every heart. Presentation of the newly published book Plants and subsistence in Mikulcice during the Great Moravia period. . — S. d’India, G. G. Kapsberger, C. Monteverdi. Part of the series Mikulčice Impressions. 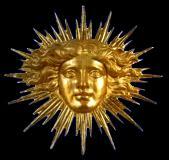 Music and dance from the time of the Sun King, Louis XIV. New choreographies to music dedicated to the mysterious Mademoiselle Rolan. — M. Marais. Opening concert of the tutors of the Summer course on baroque music and dance – Le Roi danse. 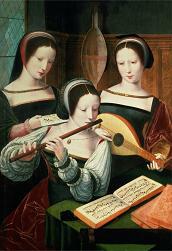 The course focuses on dances and dance music from the time of Louis XIV. For dancers and students of dance (with a basic knowledge of baroque dance). For musicians who want to learn the basics of baroque dance in order to improve their playing of baroque dance music. ¹ Some teaching subjects (and tutors) start later. Hudební lahůdky, z. s. realizes its projects with financial support from the Ministry of Culture of the Czech Republic, the South Moravian Region, the Statutory City of Brno, the State Cultural Fund of the Czech Republic, and the Česko-německý fond budoucnosti.